The fellas are back to talk some KU hoops after an up-and-down-but-mostly-down couple of weeks. They don’t really get into the ASU and Washington games because EFF THAT, but they talk about some general themes and storylines about the team and then give a little recap of the big Nebraska win on Saturday night. They also talk some Omaha and Stanford, do some Hey Beels, and spend way too much time in the rumor mill about Billy and Silvio. There’s also some SAM I AM and Floorburns talk. Come in, have a beer, and and enjoy a little Jayhawk Talk podcast. The guys are back to talk #13STR13 and #BeakersDozen. They recap the week, talk about the next couple games, and give a preview to the Big 12 tournament preview. 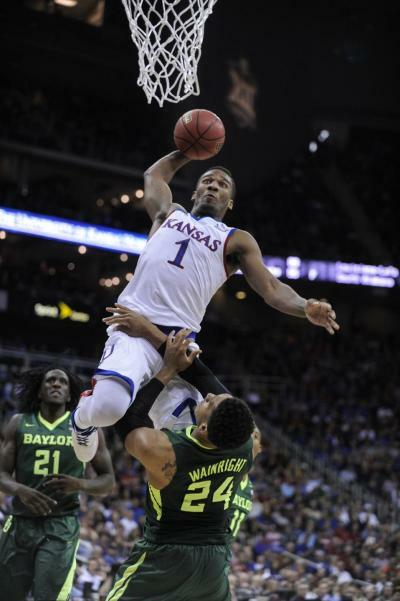 There is talk of #BIFM2, Vick or Svi?, and quite a bit of Big 12 talk. Come on in. 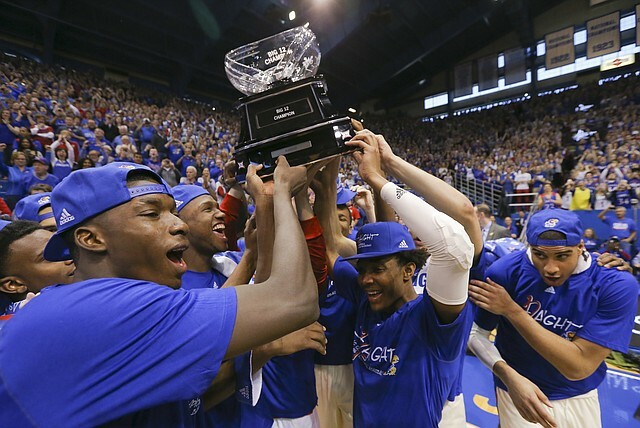 grab a beer, and listen to a little Jayhawk Talk Podcast – Big 12 Champs edition. We are also on most podcast apps. 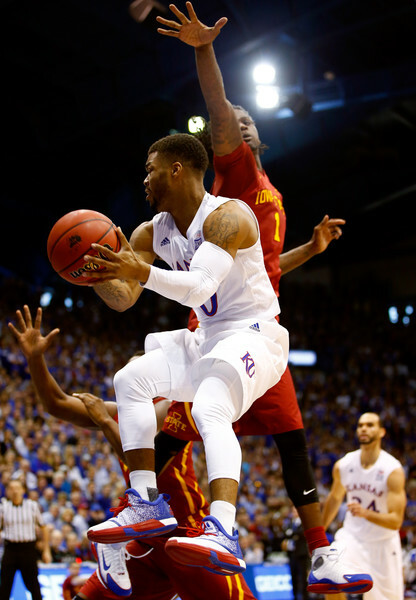 The guys are back to talk about the #SCHEDULEGEDDON KU is about to embark upon. They get you and the team ready with the various ways to “prep to go into battle.” They also talk about Kevin’s experience in Ames, recap the Texas game, talk about the keys to beating West Virginia and Kentucky and do another #GoGoPowerRankers for the Big 12. 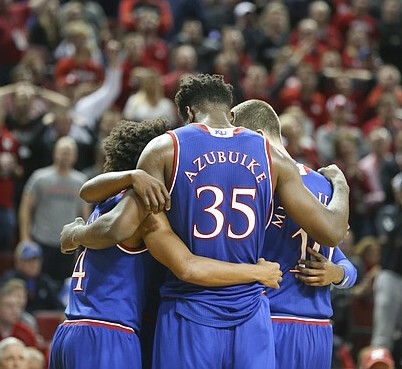 Huge week for the Hawks, and a huge week for the Jayhawk Talk Podcast. Come on in, grab a beer, and have a listen. Sweeeeeeeet 16 and the guys are back to talk about the two big wins this week to advance the boys in blue out of the first weekend for the first time since 2013. All kinds of tourney talk, including some judgment about the Big 12, favorite moments from the tourney so far, and more. They also preview the Maryland game and give you some tips if you’re traveling to Louisville. 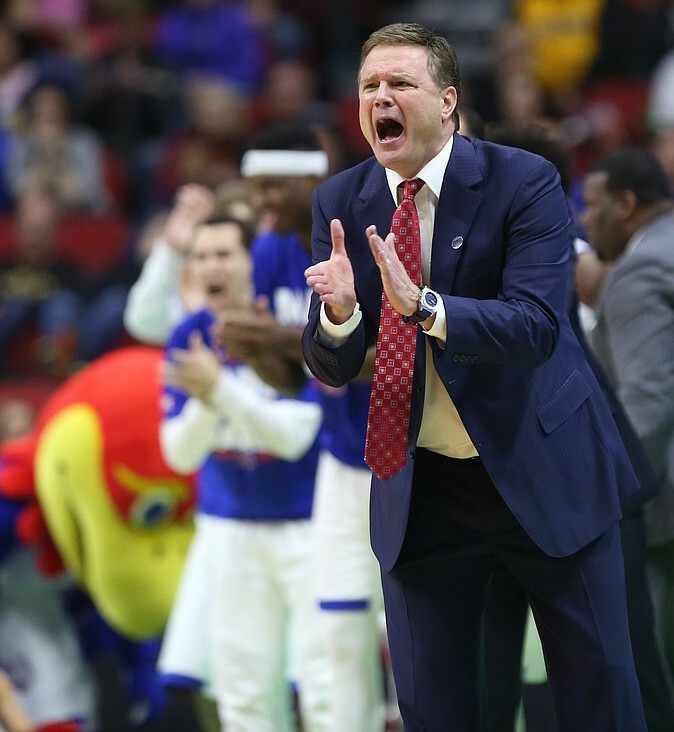 Come on in, grab a beer (or some bourbon), and enjoy a little Jayhawk Talk Podcast — Sweet 16 edition! Sorry we’re late, but there’s no way that we weren’t going to record a podcast before the tourney starts. 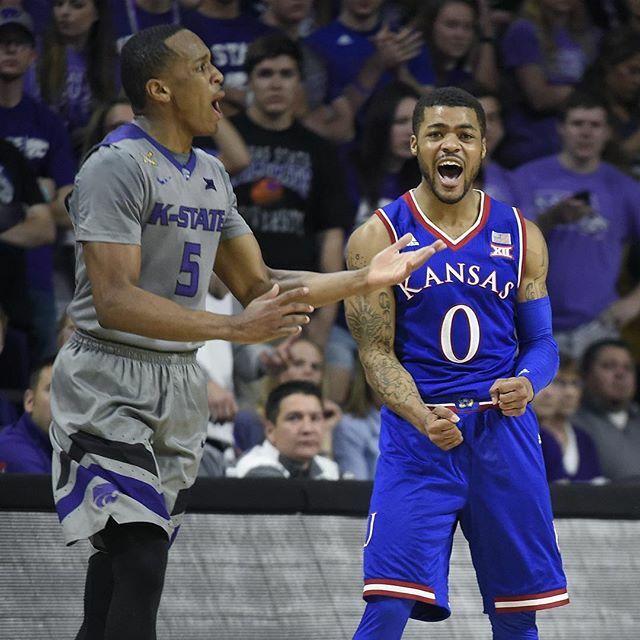 We get together to preview KU’s game(s) this week, talk about Uncle Anthony, March Madness Office Survival Tips, Wayne’s DUNK, the Big 12, and a new rendition of “Step Ya Game Up” with a new twist. There’s also quite a bit of bracket talk, but not like the boring give me your Final Four kind of bracket talk. Anyway, get in here, grab a drink, and listen to a little Jayhawk Talk Podcast — NCAA Tourney edition! Special edition podcast! The guys get back together to talk some Big 12 Tourney, including a team-by-team breakdown with friend of the podcast, Brian Hanni. The guys also present the 2015-2016 Annual Jayhawk Talkies (awards). They also share their premonitions about the future of several Big 12 seniors. 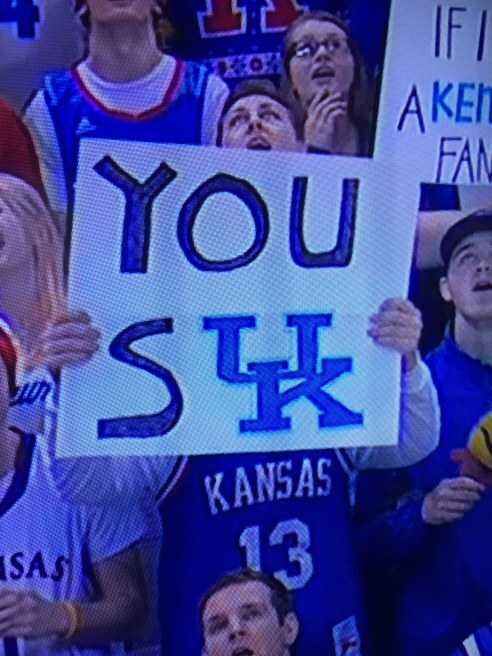 There’s plenty of KU postseason talk mixed in with plenty of nonsense. Come on in, grab a beer, and enjoy a special edition of the Jayhawk Talk Podcast. 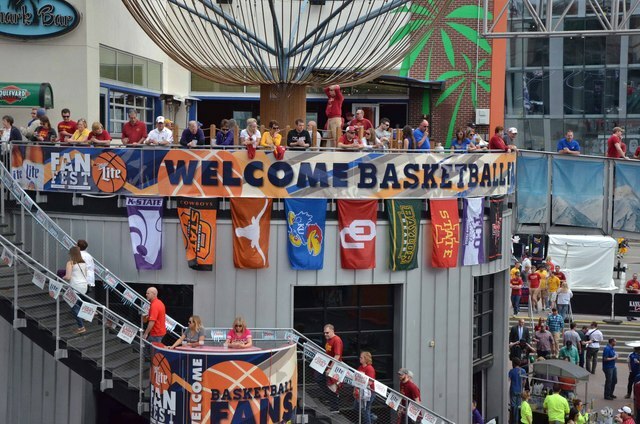 Editor’s Note: Look for another podcast episode to drop Monday night previewing the Big 12 Tourney! 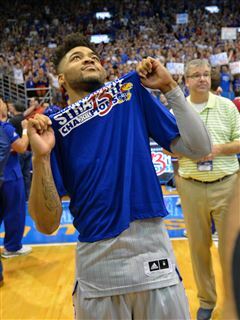 The Jayhawks have won a 12th straight Big 12 title and the guys on the Jayhawk Talk Podcast are feeling a little celebratory. There is talk about the Big 12 streak continuing, storylines from the week, previews of the next two games, and talk about the rest of the Big 12. There’s also a little meditation for Wayne Selden where the guys attempt to bring him back to Korea Wayne. Mix in a little bracketology fun and some “Step Ya Game Up” and this podcast is loaded with good times and revelry for all. Come on in, grab a beverage, and enjoy a little Jayhawk Talk Podcast. Episode 92 – Sandstorm is Back! 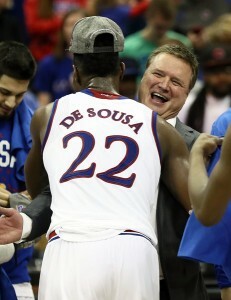 KU finishes another week 2-0 and the guys are feeling pretty good about the Jayhawks. They talk about the week that was with OSU and KSU. They preview upcoming games with Baylor and Tech. They also dive into the good times of playing in Manhattan. 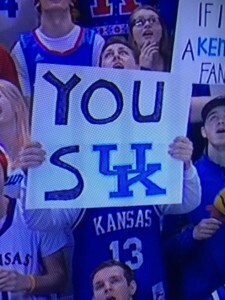 There is talk of Sandstorm, Eff KU chants, and other fine hot takes. They also play everyone’s favorite game — “KSU fan tweet or Dashboard Confessional lyric?” There is also quite a bit of Big 12 talk mixed in for good measure. Grab a beverage, mute Sportscenter, and listen to a little Jayhawk Talk Podcast. Find the Podcast on iTunes HERE! Find the Podcast on Podbean HERE!